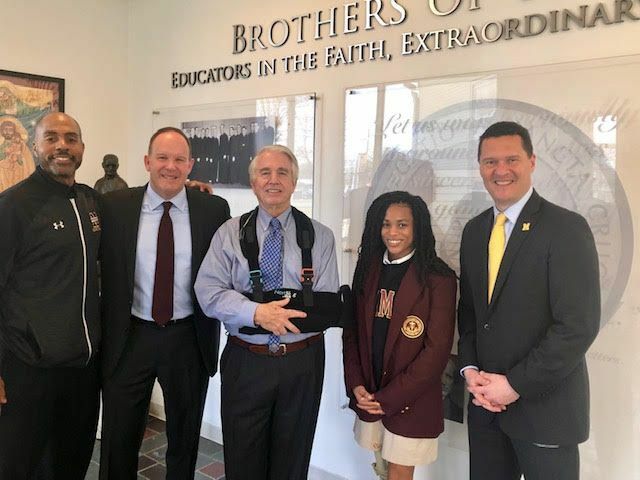 Mr. Morgan O’Brien, the founder of Nextel and current CEO of PdvWireless, visited Mrs. Angelina Diehlmann's LR'85 Foundations of Engineering class, Mr. Matthew Buckley’s ‘98 Robotics class, Mr. Keith Veney’s ‘92 Millionaires Club and was given a student led tour provided by Ayanna McCarley ‘20 on Wednesday, March 27th. Mr. O’Brien shared his life story as an entrepreneur, particularly life lessons that he has gathered during his more than fifty years in business. He shared with our students that they should view their career as building a “skyscraper” that requires a strong foundation, thus the importance of working diligently in school and utilizing their education to become lifelong learners. He also spoke passionately about the importance of learning from failure and how it is important to be resilient as mistakes and failures can lead to growth, both personally and professionally. Mr. O’Brien finally shared insights about the future of wireless technology, especially the need to make our electrical grids more resilient in the face of both natural and human made disasters, thus insuring a more stable living environment. 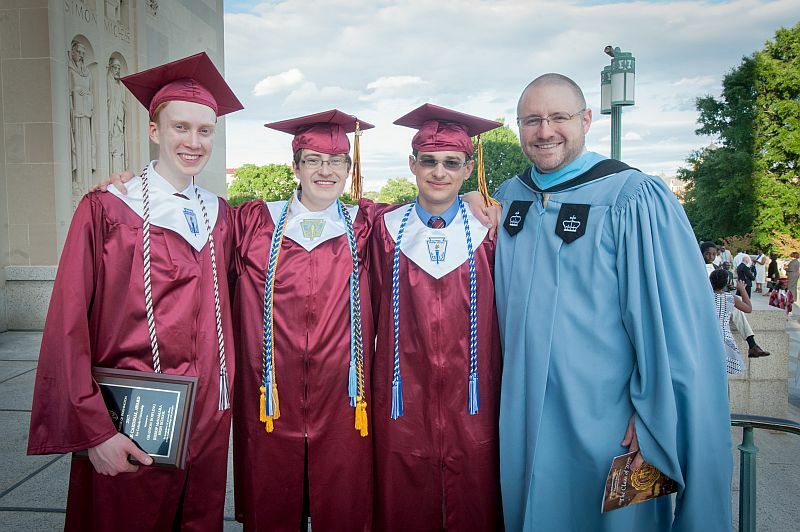 Bishop McNamara would like to thank Morgan O’Brien for his time and efforts, helping us to advance our vision to form empowered leaders, inspired by the Gospel, who transform the world.